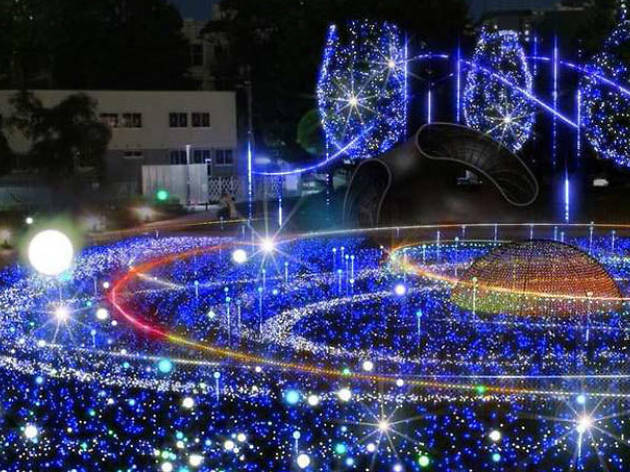 The Tokyo Midtown illumination is particularly famous for the 'Starlight Garden' lights that are put up around the spacious Midtown Garden area, creating a magical, wintery atmosphere with 180,000 blue LEDs. This year's theme is 'Midtown Cruise', with the entire complex draped in sci-fi style lighting, centred around a funky-looking 'Vision Dome' complete with regular audiovisual 'mini-shows'. 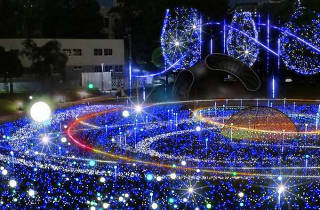 In addition, the Galleria shopping area will be decorated with Christmasy materials from mid-November on.